In the absence of a proper blog post I give you this – random images! Recently I’ve been browsing the tinernet and come across some fantastic images. They are completely random but they’re just funnies I’ve found in various places! I saw this image on Facebook (sorry didn’t get the link!) and thought it was hilarious! If you haven’t heard of Mrs Brown’s Boys it’s an Irish comedy about a elderly woman and her sons (and daughter). I haven’t watched it much but she comes out with some corking one liners! Someone on Twitter posted this which made me giggle! Kimi Raikkonen is known as the “Iceman” because of his cool demeanour. He is man of very few words (and even fewer smiles)! 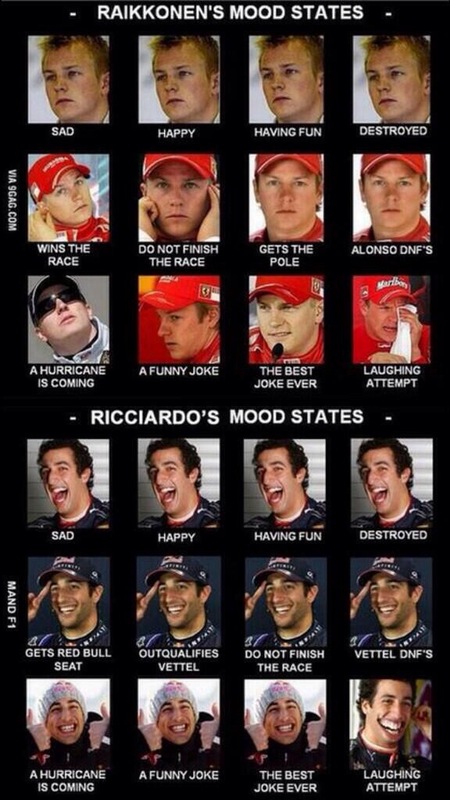 In contrast Daniel Ricciardo has a constant smile on his face. And just when you think his smile can’t get any bigger it does! This is another Facebook funny that I found. 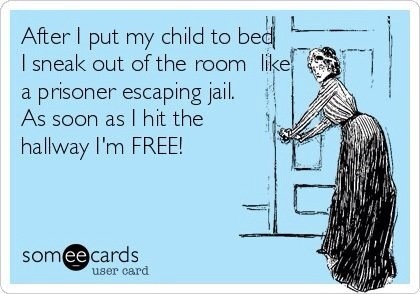 One of the girls on the pregnancy group shared it and both me and hubby had a giggle. I cannot even begin to tell you how true this is!! 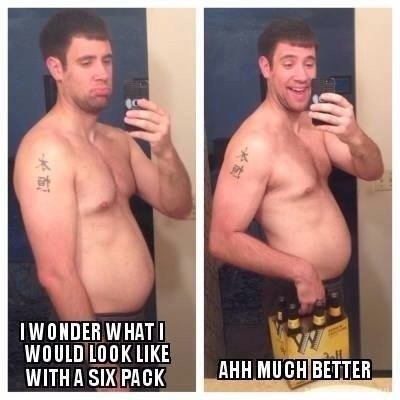 Haha, love the six pack guy! XD Got kinda curious about Mrs. Brown too, I’ve never heard about that show before. 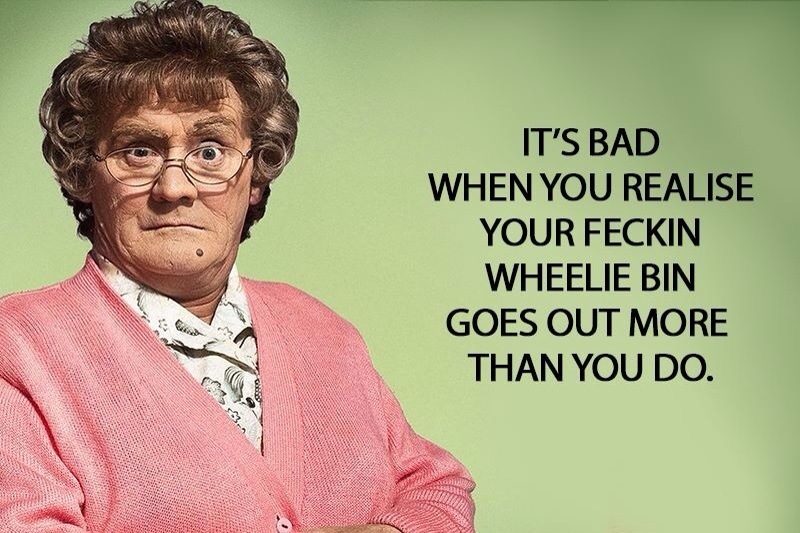 I haven’t watched a lot of Mrs Brown – it’s good if you like a lot of quick wit and swearing! I finally finished ‘Rush’ – for someone who isn’t a racing fan I actually liked it!!!! I’m useless at noting down the links! It’s not me stealing it’s me being forgetful and a scatterbrain! It’s so hard to find where the original source is from sometimes! How funny that you saw that movie for your 1 year anniversary weekend – perfect date night activity for you! I have to admit, that was an incredible movie. At first I thought Lauda was a jerk, but throughout the movie his character really showed and I ended up liking him (and Hunt). 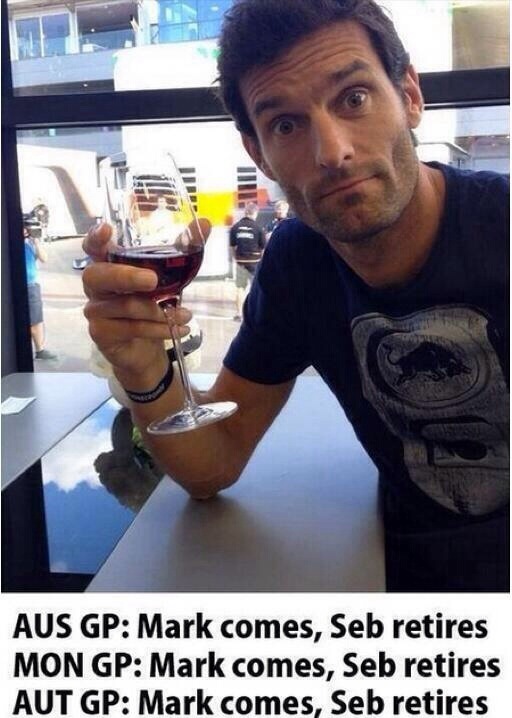 I was glad he got out of the car at the Japan Grand Prix and realized his life was more important than another title. The ending sentence Lauda said really moved me!